Romula Interior Door has the design of three framed squares on the front and beautiful Vanilla Gold finish. The Romula collection received its name from the entrance doors of the legendary Temple of Romulus in Rome. The temple doors are made of fine bronze and decorated with a simple but bold geometric design. Different variations of the gate are available, which allows them to fit into any interior. Door construction: 100% solid oak, 0.13-inch plate, solid oak panel. 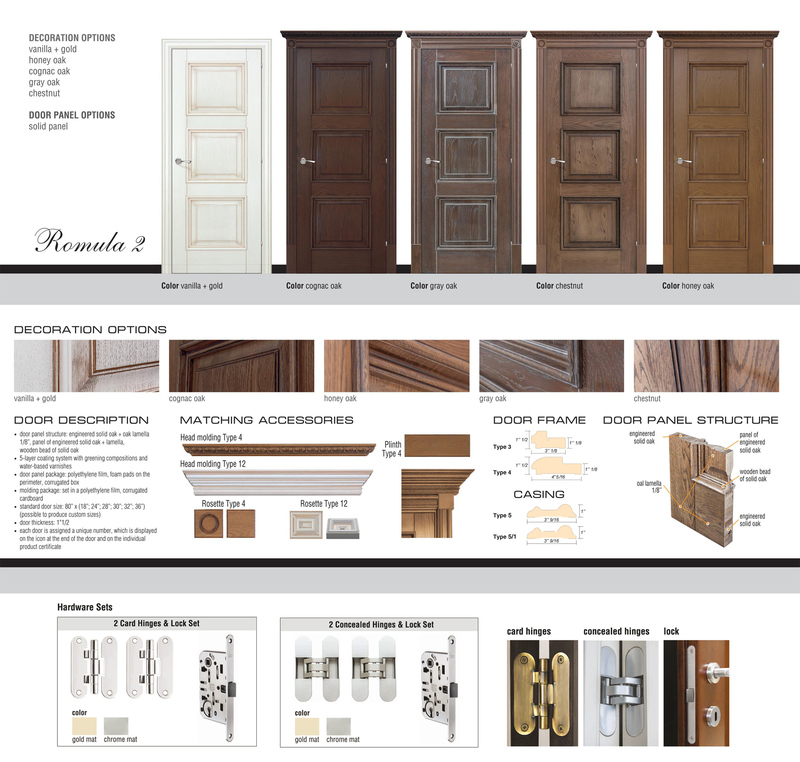 • each door has its own unique number that can be seen on Icon at the end of the door and in a separate product certificate to the Eye. If the door is suitable it will rise smoothly, without any gaps, but not so tight that it would be difficult to operate it - even a child should be able to open and close the door. It is easier to work with pre-deployed doors because they built into the doorway and a frame installed around the door, unlike the door of the plate. But, in any case, such a design must meet the requirements. Usually, a 1/2-inch distance is required on both sides for the gaskets between the jamb frame and the rough hole, so that it could be possible to adjust the door during installation. 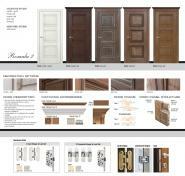 In order for the door installed correctly, contact the door manufacturer. The finish of the door, or what usually called a carpenter, is a flat part that closes the doorjamb and space between the wall and the doorjamb. To each door, we have an exclusive appearance of the hull, and we select them taking into account the fact that the finished look would be in harmony with the interior design. The width of the body of the door is 3 feet and is usually less than 1 9/16 inch. In most cases, it is 8 11/16"long, which corresponds to the length of most doors. A greater number of modern houses have a certain thickness of walls, while in older houses thicker walls also have a tendency to change the thickness from wall to wall. 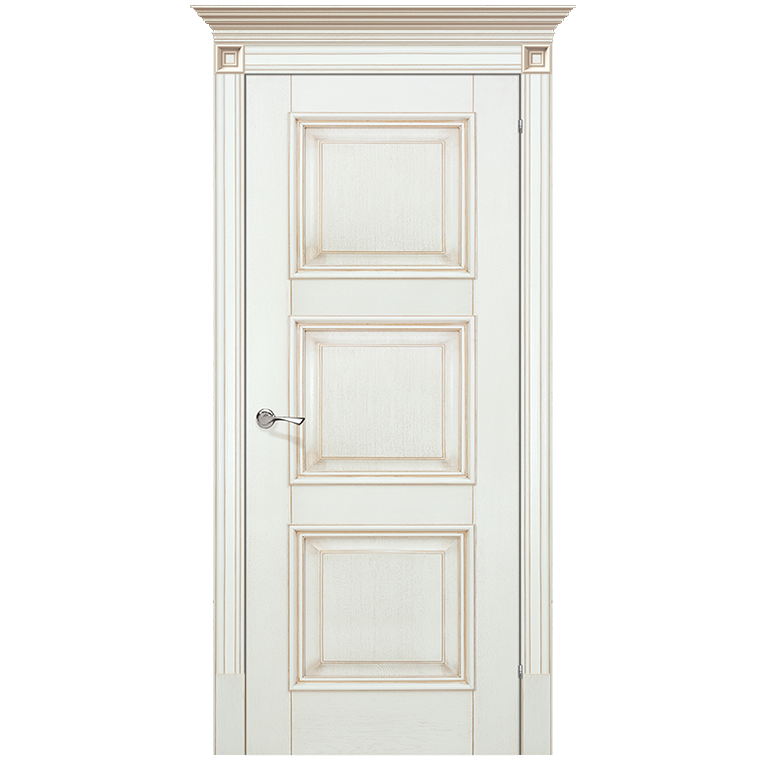 For those cases, there are doors with a divided joint, the depth of which can be slightly regulated. Another option is to create an extension of the doorjambs: hold one side of the doorjamb and measure the distance necessary to lock the jamb from the opposite side. Then use a table saw to cut them to the required width, and attach the strips to the edges of the doorjamb. 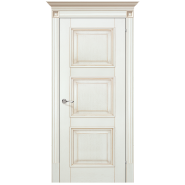 Finishing decorative accessories such as a rosette, a plinth, and a head molding, give the door a complete luxurious look. The cast head also includes a variety of decorative, finishing elements and is made of wood or MDF. The head part performs an exclusively decorative function and can be in different variations of shape and thread. Size 36"x 80", 32"x 80", 28"x 80", 24"x 80"
Just had our interior door installed. Good quality work, fair prices for a brand new & quality door. I would recommend them to everyone. The delivery was efficient, and on time. I can't say enough good things about this team. I hope my review would help anyone to make the right choice. Guess these guys are great in selling doors.